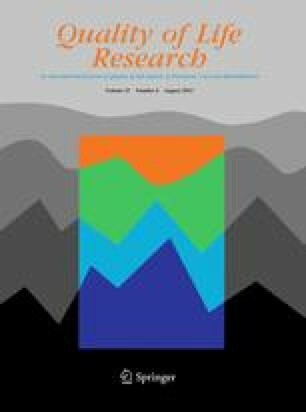 To explore the cross-sectional relationships between health-related quality of life (HRQoL) and physical activity (PA) behaviours and screen-based media (SBM) use among a sample of Australian adolescents. Data came from baseline measures collected for the It’s Your Move! community-based obesity prevention intervention. Questionnaire data on sociodemographics, PA, SBM and HRQoL were collected from 3,040 students (56% boys) aged 11–18 years in grade levels 7–11 in 12 secondary schools. Anthropometric data were measured. The highest level of PA at recess, lunchtime and after school was associated with higher HRQoL scores (boys, by 5.3, 8.1, 6.3 points; girls, by 4.2, 6.1, 8.2 points) compared with not being active during these periods. Exceeding 2 h of SBM use each day was associated with significantly lower HRQoL scores (boys, by 3.2 points; girls, by 4.0 points). Adolescents who were physically active and low SBM users on school days had higher HRQoL scores (boys, by 6.6 points; girls, by 7.8 points) compared with those who were not physically active every school day and high SBM users on school days. Several of the relationships between low PA and high SBM use and HRQoL were comparable to those previously observed between chronic disease conditions and HRQoL, indicating that these behaviours deserve substantial attention. This project was funded by the Victorian Department of Human Services as part of the Victorian ‘Go for your life’ Healthy Eating and Physical Activity initiative, in conjunction with VicHealth and the National Health and Medical Research Council. We acknowledge the principals, teachers, students and School Project Officers (Sue Blackett, Lee Denny, Kerryn Fearnsides, Chris Green, Sonia Kinsey, Kirsty Licheni, Kate Meadows, Lauren Reading and Lyndal Taylor) from the 12 schools involved in the project. Acknowledged also are Colin Bell and others from the ‘Support and Evaluation Team’, Anthony Bernardi, Phil Day, Lawrence Meade, Lily Meloni and Narelle Robertson from the WHO Collaborating Centre for Obesity Prevention, Deakin University. Centers for Disease Control and Prevention. (2000). Measuring healthy days: Population assessment of helath-related qulaity of life. Atlanta, Georgia: CDC. Available from: http://www.cdc.gov/hrqol/pdfs/mhd.pdf. Department of Health and Ageing. (2004). Australia’s physical activity recommendations for 12–18 year olds. Canberra, ACT: Department of Health and Ageing. Available from: http://www.health.act.gov.au/c/health?a=sendfile&ft=p&fid=-225689077&sid=. Mathews, L., Kremer, P., Sanigorski, A., Simmons, A., Nichols, M., Moodie, M., et al. (2009). Nutrition and physical activity in children and adolescents: Report 1: Methods and tools. Melbourne: Department of Human Services (Victoria). Available from: http://hdl.handle.net/10536/DRO/DU:30023891. Australian Bureau of Statistics. (2010). Information paper: An introduction to socio-economic indexes for areas (SEIFA), 2006. ABS Catalogue No. 2039.0. Canberra, ACT: Australian Bureau of Statistics. Available from: http://www.abs.gov.au/AUSSTATS/abs@.nsf/Lookup/2039.0Main%20Features32006. Ministry of Health. (2003). NZ food NZ children: Key results of the 2002 national children’s nutrition survey. Wellington: Ministry of Health. Available from: http://www.moh.govt.nz/moh.nsf/pagesmh/4330. Davies, P., Roodvelt, R., & Marks, G. (2001). Standard methods for the collection and collation of anthropometric data in children. Canberra, ACT: National Food and Nutrition Moniotirng and Surveillance Project. Available from: http://www.health.gov.au/internet/main/publishing.nsf/Content/0B5E175AB3EBA8F8CA256F190004C273/$File/anthropometric.pdf.